UPDATED MAY 12, 2017: We have recently learned that Ontario, Newfoundland and Labrador, and Yukon opted out of food insecurity measurement in 2015 and 2016. The reports have been updated to reflect this development. Our annual reports are provided under the terms of a Creative Commons Attribution 4.0 International License. This license allows for free redistribution, as long as it is credited to PROOF. Despite anti-poverty efforts, hunger in Canada has not decreased – and it has now reached epidemic levels in Nunavut, where almost half of households suffer from food insecurity, according to a new study by University of Toronto researchers. One in six children under the age of 18 in Canada lives in food insecure households, according to Household Food Insecurity in Canada, 2014, a report published by PROOF, a U of T research group. Household food insecurity is the inadequate or insecure access to food because of financial constraints. 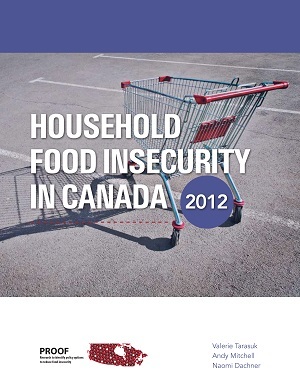 In Canada, rates of food insecurity are monitored by Statistics Canada through the Canadian Community Health Survey. In 2013-14, the food security survey was optional, and Yukon, British Columbia, Manitoba, Newfoundland and Labrador opted out. 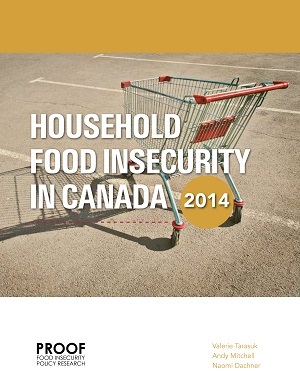 High rates of food insecurity have persisted across the provinces and territories that participated in the survey. Food insecurity is a serious public health problem that takes a measurable toll on individual health and well-being, and costs our health care system. Nunavut continues to have the highest rate of food insecurity in Canada, with 60% of the territory’s children living in food insecure households. Food insecurity in Canada is highest in the North and the Maritimes. Rates across the rest of the country are above 10%. 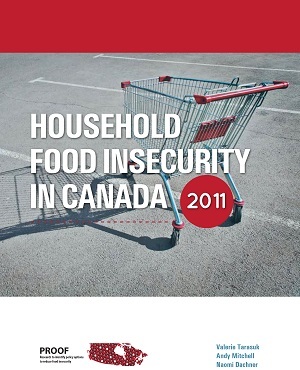 In addition to provincial rates of food insecurity, the report examined household food insecurity at the level of census metropolitan areas (CMAs), urban centers with populations of 100,000 or more. The highest rates were found in the New Brunswick cities of Moncton and Saint John and in Peterborough, Ontario, all topping 16%. 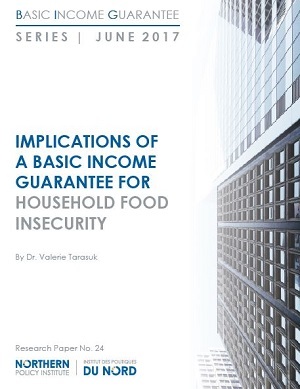 Quebec City had the lowest rates of food insecurity with 7% of households affected. 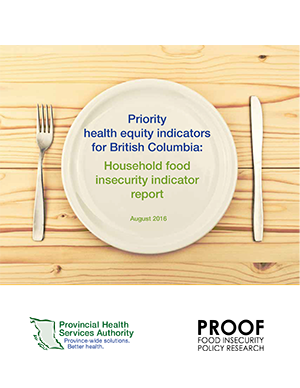 The full report, the fourth in a series of annual reports on food insecurity in Canada, will be available to download from PROOF’s website as of Tuesday April 5, 2016.